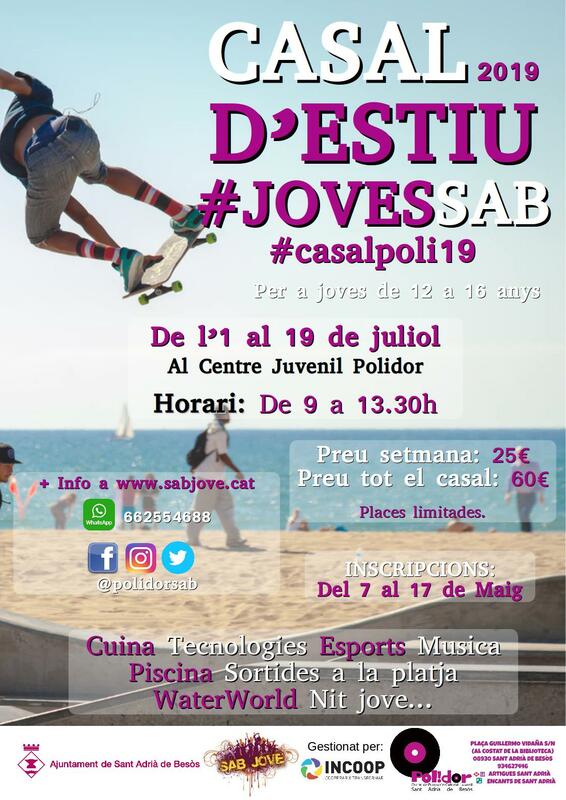 ARRIBA EL CASAL D'ESTIU #JOVESSAB AL POLIDOR. 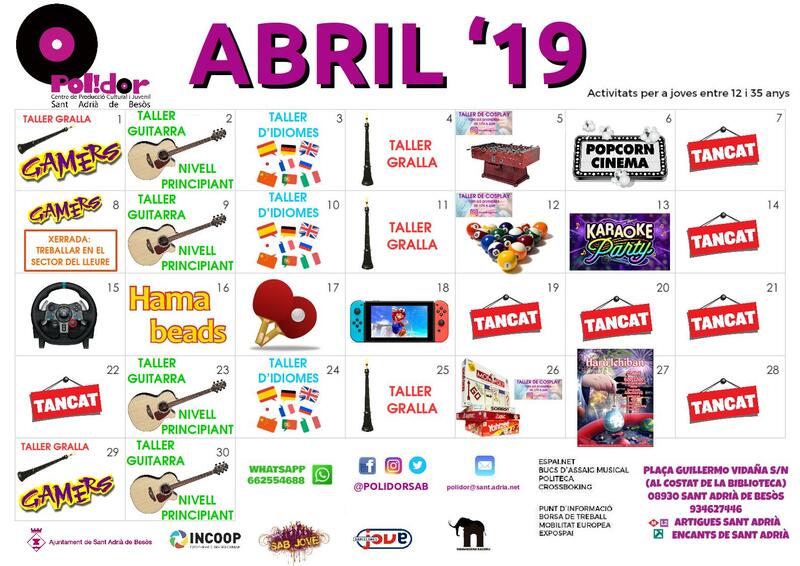 PER A JOVES DE 12 A 16 ANYS. 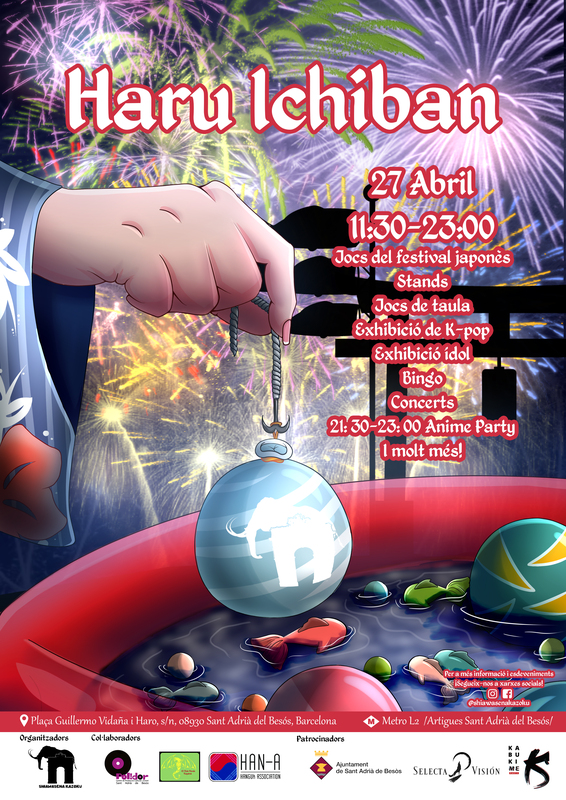 STAR WARGAME "EPISODI III L'ÚLTIMA PROVA"
EL DISSABTE 27 D'ABRIL GAUDIREM LA FESTA DE LA PRIMAVERA JAPONESA "HARU ICHIBAN" AL CENTRE DE PRODUCCIÓ CULTURAL I JUVENIL POLIDOR. 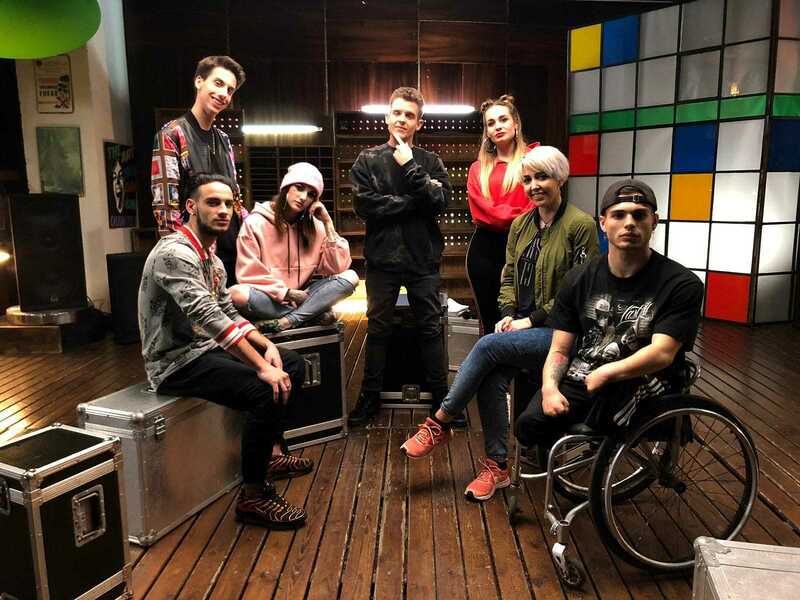 QUE INTERESSEN ALS I LES JOVES A TRAVÉS D'UN RAP. 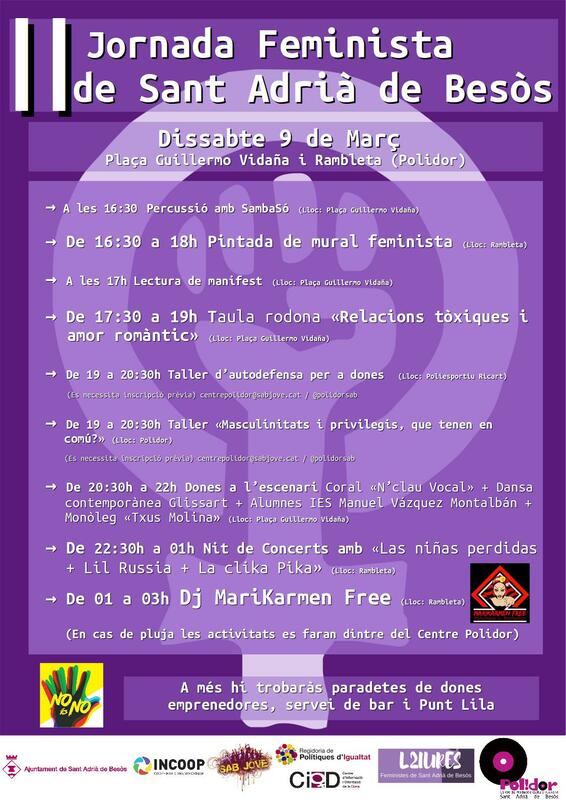 LA DONA TREBALLADORA #8M I LA II JORNADA FEMINISTA . 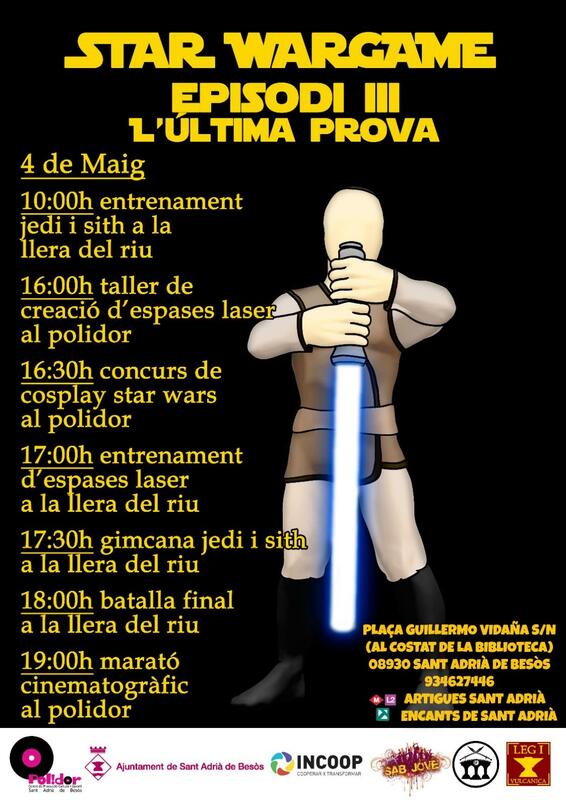 LES DONES A LA SOCIETAT. 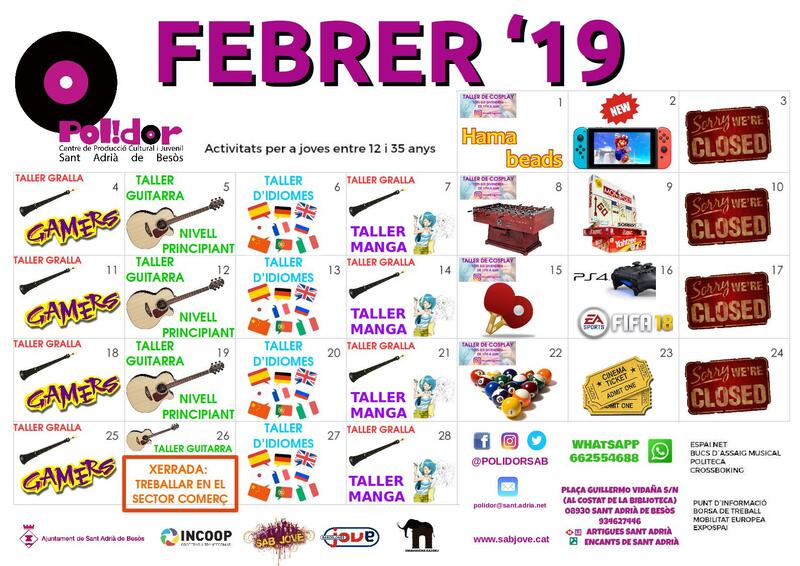 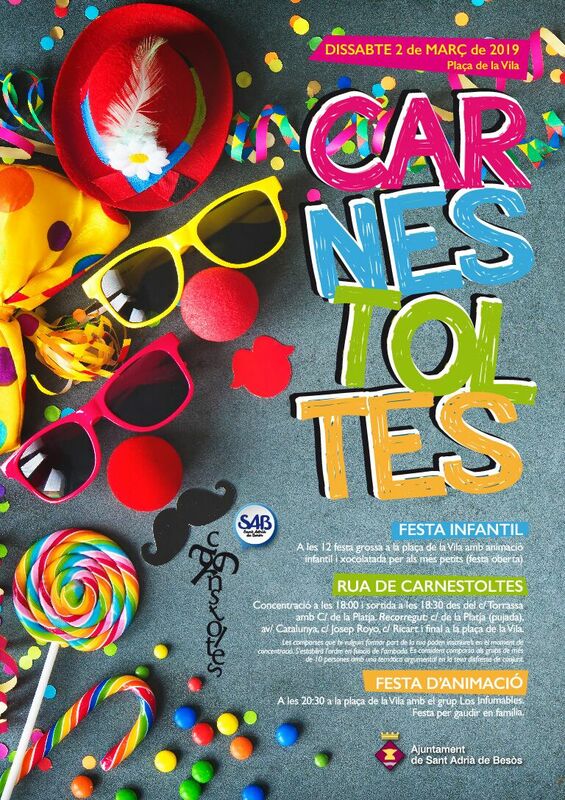 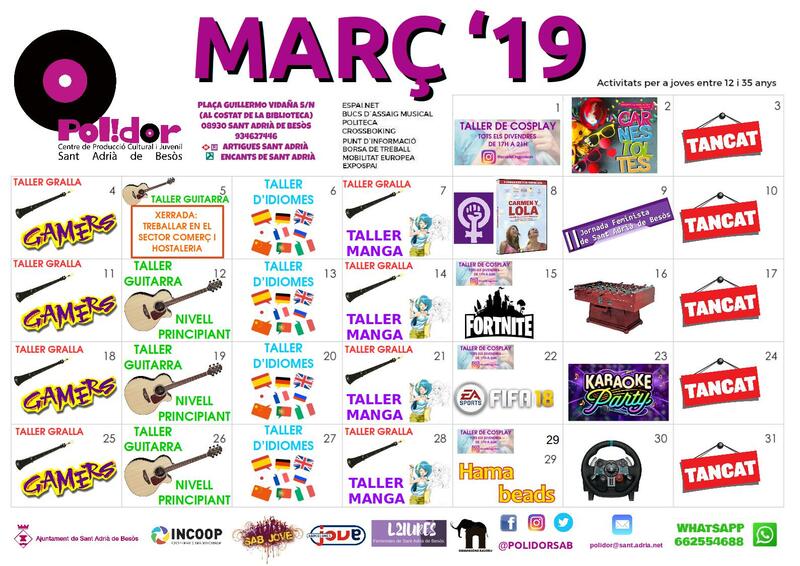 DIVERSES PER PASAR LES TARDES MÉS DIVERTIDES AL POLIDOR! 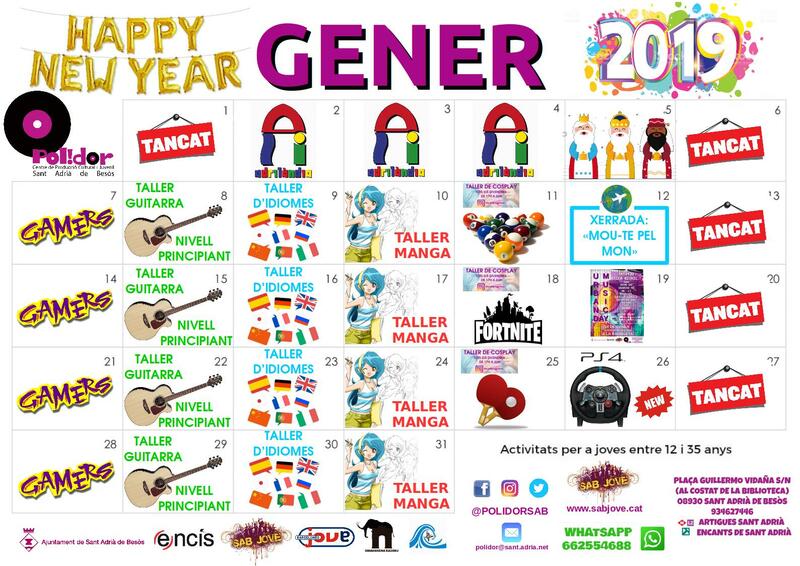 ON PASSAR UNA BONA ESTONA I GAUDIR AL MÀXIM AL POLIDOR.